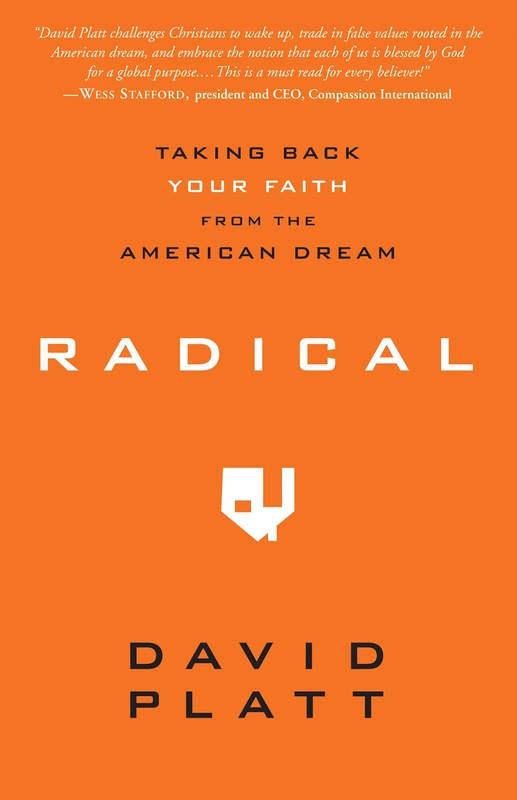 This week I began reading the very popular book "Radical" by David Platt. Although I've only made it through the first chapter, I already feel like there are things to say about it. Like I said, based only on the first chapter I'm already LOVING this book. I'm preparing my heart to allow cultural boundaries to be broken and personal walls to be brought down. 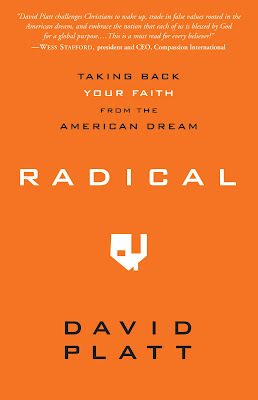 I know this book is full of TRUTH and is rooted in the teachings of the Gospel. After the small portion I've read the biggest thing that stuck out to me so far is this one quote, "We were settling for a Christianity that revolves around catering to ourselves when the central message of Christianity is actually about abandoning ourselves." Now if that doesn't make you think twice I don't know what will! How often do I live my life in a way that caters to myself, my needs and my own well-being? The culture and society we live in today is centered around self. It's about MY truth, MY happiness, MY opinions and MY way. 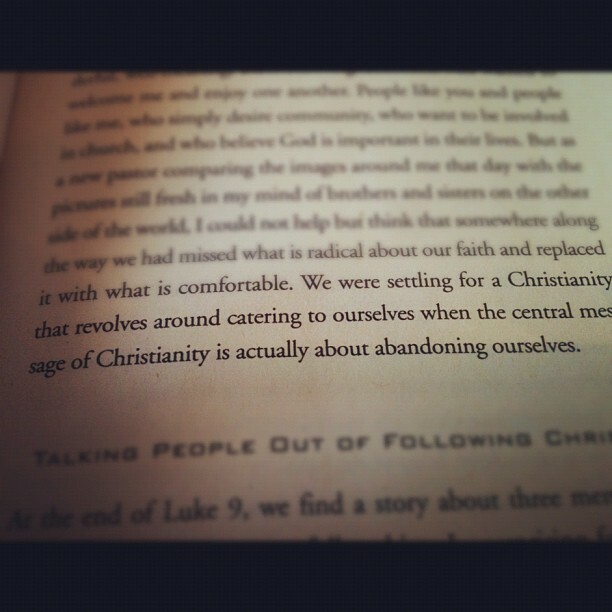 The reality is that we need to center our lives around dying to self and living for Christ. It's not about what I think is best, or what makes most sense in my human brain. I'm so sick of this "American Church" crap. We are constantly trying to figure out how to make our lives "good", "comfortable", etc. We get together and talk about how we can make our church look nicer, how we can make more people COME TO US, how we can make our congregations HAPPIER, etc. It's all about us. But what is it REALLY about? It's about forgetting what I want, surrendering and allowing Christ who I call Lord to really be LORD of my life. And in that we should be living out what the entire POINT of this life really is. We should be following Jesus and His call for us to GO OUT and spread the Gospel. We should be striving to bring GOD'S PEOPLE back to GOD'S PLACE and to be in GOD'S PRESENCE. That's really why we're all still here isn't it? There are more people to be reached! I am guilty of everything I have ranted about above. So sometimes I think this blog is more for me than for anyone else. As I continue to grow in my relationship with Jesus He reveals more and more everyday about His plan for my life, His plan for His people, and in what way I am being called to be a part of that. To those of you who read these posts, thank you! I love to write, I love public speaking, I love teaching (when I actually have some knowledge to offer on a subject), and I love living a life of ministry. 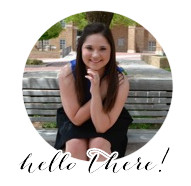 I pray that this blog and the way I live my day to day life is a step into ministry as I continue to seek Christ in what He wants for my life! Thanks again to my faithful readers!